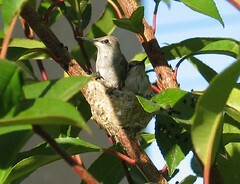 These hummingbird babies are just a couple of days old. When we found them they were very curious. Maybe they were waiting for mom to come back with the groceries. Press the picture for a closer view. For father’s day, my son and I went hiking at Redrock Canyon. 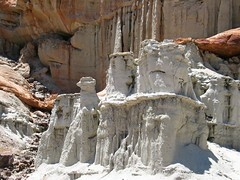 The scenes of the rock formations was breath taking. Check out all of my pictures by selecting the Redrock Canyon album to the right of this screen. Today at 6/16/2005 01:53:25 PM PDT our whole family felt a 5.3 earthquake though we were several miles apart. The quake originated 16 mi. ( 26 km) ESE of San Bernardino, CA. I was on the 9th floor of a building in Glendale and you could feel the whole building sway. That was not so bad but when the announcement over the loud speaker said there could be aftershocks and to stay away from the windows is when everyone got a bit nervous. My wife today delivered her first baby after more than 20 years working as a nurse. My son today received an offer for a new position. 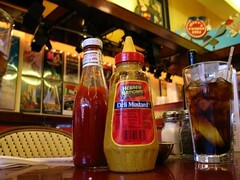 I have been thinking of Hot Dogs lately and thought of this picture. Though this is in Los Angeles and we had an excellent food there, I am thinking of a place in Syracuse New York where we using to get the freshest and best hot dogs I have ever had. I don’t remember the name but I will find out. 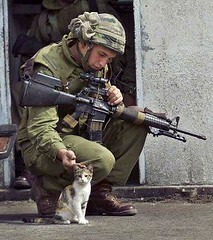 I thought with all the press talking about the war in Iraq, it would be interesting to see a face of one of our warriors. He seems like someone that would live next door. My son and I were driving through the mountains about a week ago and came across this setting. 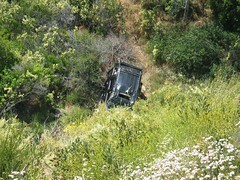 A car was dumped over a cliff after it was stolen. Why it was not left on the side of the road I have no idea. Well any it came to our attention when we saw a tow truck with its extended line over the side of the mountain getting ready to pull it up. 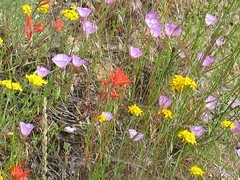 I am forming an album (select the entry in the right margin) of pictures of flowers, mostly wild, from all around southern California. It is only the beginning but there are already 50 pictures. Check them out and let me know what you think.